Yes, it is true. The director of Blade Runner 2049’s first choice was David Bowie. That would have been miraculous to see him play the character that Jared Leto played in the film. Although Jared was good, Bowie would have brought the role to a whole other level. This was one of my favorite films of the year. Despite the fact that it didn’t do massive box office, it really didn’t matter. 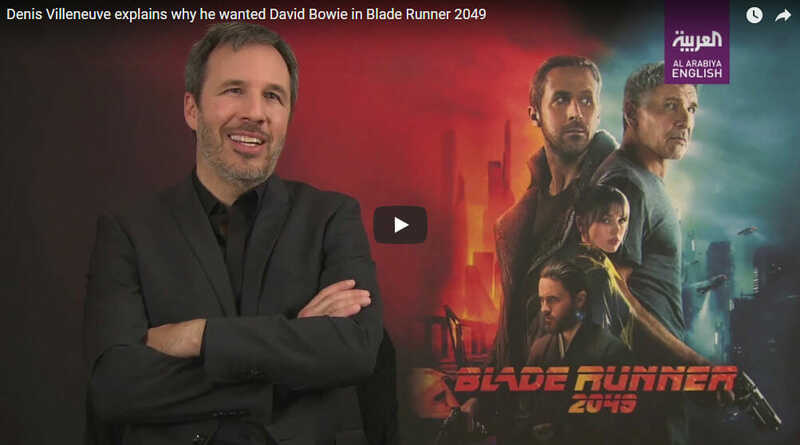 Watch Denis Villeneuve explain what happened and why Bowie was his first choice. There are some library packages if you feel like being a little more SCI FI, there is Zeroes and Ones , the sinister Modular Cinematics Vol 1: Suspense or even quite possibly, the timely and oh so Netflix vibe of Mr Strange Mirror. This entry was posted in Film Reviews, Opinion. Bookmark the permalink.